Kids can build their own Bluetooth headphones and learn about sound with the BOSEbuild Headphones kit. Connecting the headphones via Bluetooth to the free BOSEBuild Listen app gives kids access to 17 different activities, games, and experiments, as well as a step-by-step assembly process. The activities introduce kids to how sound, hearing, and microphones work, and some even use augmented reality features to bring the learning concepts to life. Kids can replay the activities as many times as they want, even after they've built the headphones. 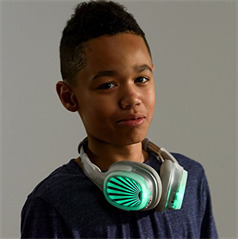 There are 18 design inserts for giving the headphones a customized look, and kids can even select and change the color of the lights in each earcup. 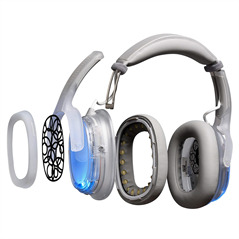 Plus, the headphones can be customized over and over again. Once kids are done, they've built a pair of BOSE-quality Bluetooth headphones with smart volume limiting to protect their ears, a 15-hour battery life, headphone lights that flash to the music, and an audio cable for wired listening. For kids who like listening to music, it's going to be pretty cool to assemble and customize their own headphones. But this is more than just a build-your-own headphones kit. Through the activities and games in the app, this takes kids through some of the science behind sound and helps them understand what it is they're building. This turns the simple act of listening to music into a STEM experience. The BOSEbuild Headphones kit is for ages 8 and up. This will be a fun hands-on kit for curious kids who like music. 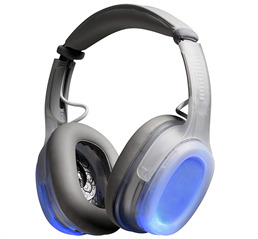 These headphones have a battery life of 15 hours, but if you use them with the lights on, that changes to eight hours. 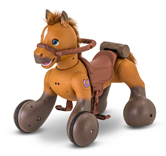 It runs on a rechargeable lithium ion battery. The kit comes with an activity mat, 18 design inserts, a USB cable, an audio cable, a headband cover, two ear cushions, two trim rings, a headband, two yokes, and two ear pucks. For the niece or nephew age 8+, the BOSEbuild headphones is not just a cool set of great quality headphones - but the build and customize themselves! They learn about the science of sound - and get the headphones they want.